Combine the sage, fennel, thyme, black pepper, paprika, garlic powder, onion powder, marjoram, cayenne pepper, cloves, nutmeg, oats and TVP in a medium sized bowl, and mix well. Add the hot water, ketchup and soy sauce. Mix well. Let stand for 5 minutes, to develop the flavors. Add the nut/seed butter and mix well. Add the whole wheat flour and nutritional yeast, and mix well again. 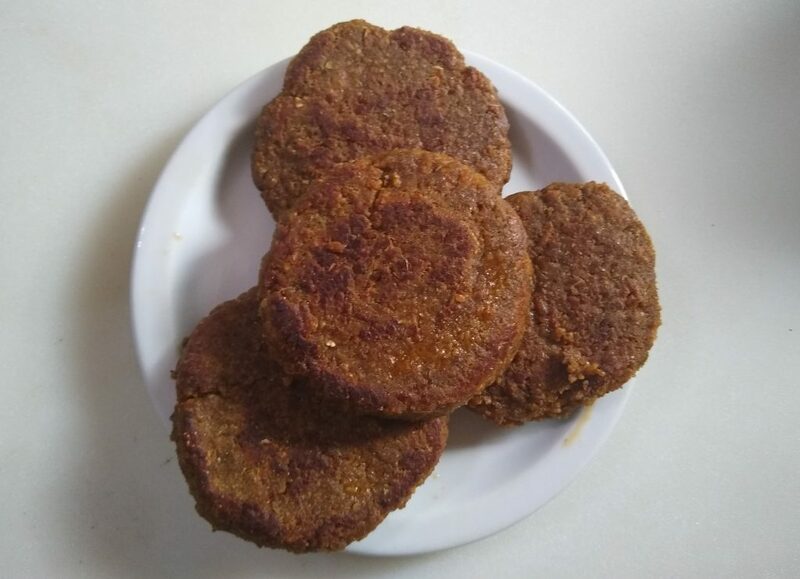 Form 4 large burger sized patties or 8 small breakfast sausage sized patties, by hand. 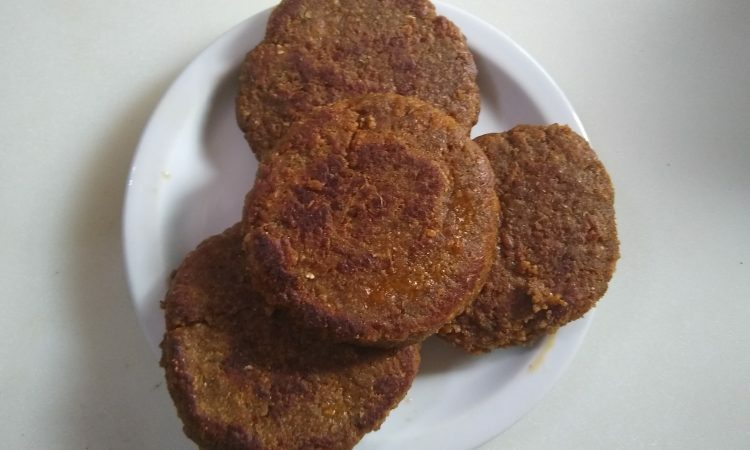 Heat the olive oil in a frying pan, and cook the patties over a medium to low flame, for about 3-5 minutes per side or until golden brown and somewhat crispy.